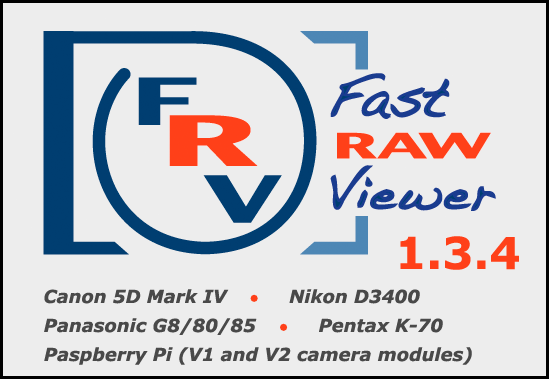 As usual this update is free for those who has already had previous versions of FastRawViewer. Available at the download page. In standard mode, with this setting off, if a user issues a new command to move to the Next/Previous file while FastRawViewer was still executing the prior Next/Prev File command, this new command is queued and will be executed as soon as the prior one is completed. This allows for fluid browsing through files with just the Spacebar depressed, but can become uncomfortable if very large files are present, as reading and processing such files takes time. If DisableNextPrevQueue is on, the new command to move to Next/Previous file will be ignored while the current command is in effect, and transition to the current file is not completed. Color transforms have been improved for a range of cameras. If an external program is started with selected files, the filenames are no longer changed to lower case. Fixed Samsung EX2F image frame size problem. Windows: Non-mounted network volumes (\\server\share) were not considered as network volumes, and the setting "Do not recall removable/network media on startup", as well as the settings in the "Network volumes performance" group were not applied to such volumes. macOS Sierra: fixed problem when saving custom Bottom Bar items visibility.